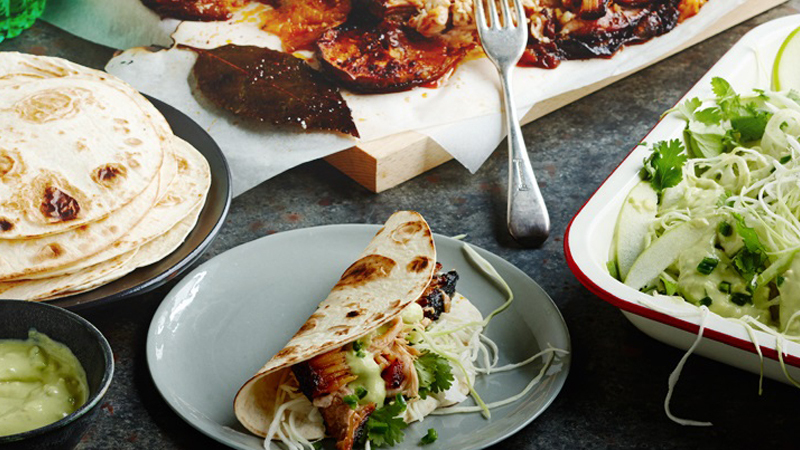 This Pork Belly Soft Taco recipe from Old El Paso™ is delicious when served with a crunchy slaw and avocado dressing. 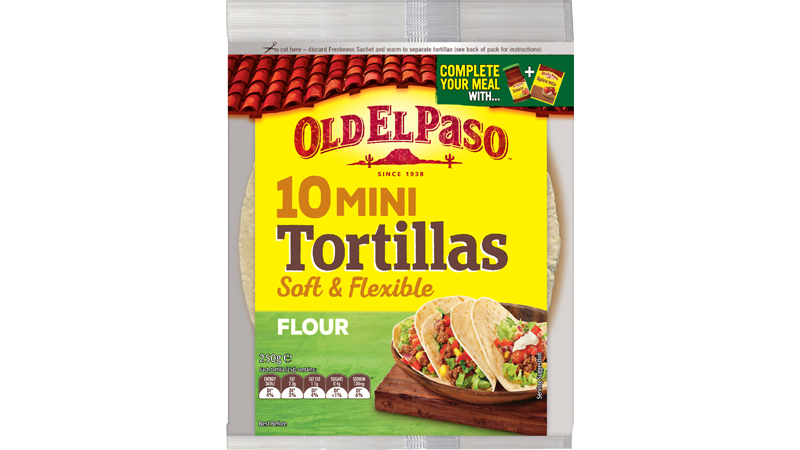 The recipe makes 10 Soft Tacos and uses our Chilli Spice Mix and soft Tortillas. 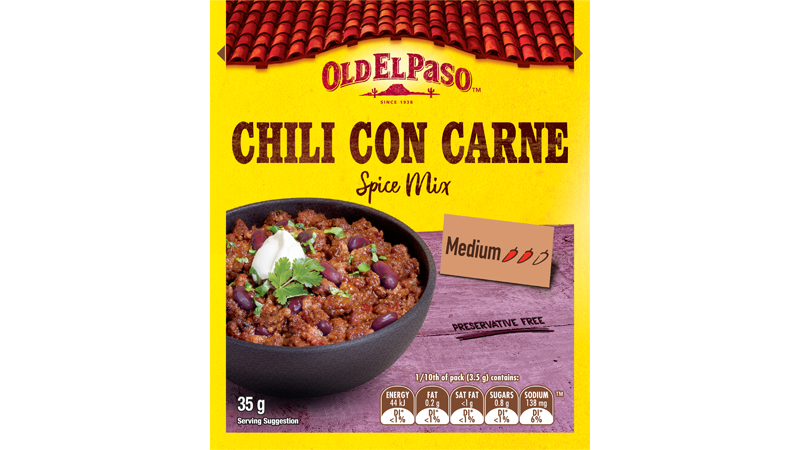 With ingredients like lime juice, bay leaves, jalapeños and coriander this meal is a delicious twist on traditional Mexican flavours and is sure to impress! Preheat oven 220◦C conventional (200◦C fan forced). Using a small sharp knife, remove rind from pork belly leaving fat intact, then score fat in a criss cross pattern. Rub Chili Spice Mix into scored surface and all over pork belly. Place apples in a single layer over the base of an ovenproof casserole dish or high sided baking dish. NOTE: The pork requires long slow cooking. It is best the dish is similar size to pork for a snug fit. Also, a lid or foil will be required to seal the dish to keep the pork moist. Place pork on top of apples and cook uncovered for 30 minutes. Reduced temperature to 160◦C conventional (140◦C fan forced). Pour apple juice and add bay leaves. Cover with a lid or 2 layers of foil and bake for a further 2½ hours. Meat should be very tender and fall apart when touched with a fork. Remove pork from pan juices and carefully discard layer of fat. Shred pork with 2 forks. To make the Spicy Avocado Dressing mash together avocado, lime juice, sour cream and apple juice. Add jalapeño chilli and season with salt. Toss extra apple in lemon juice, combine with cabbage, coriander and fennel to create a Crunchy Slaw. Serve shredded pork, wedges of lime, slaw with avocado dressing and toasted tortillas to the table and let everyone build their own soft tacos any way they like!